Want to have the best online auction software for collectables auctions? Here's a refreshing online auction alternative that will certainly turn heads and is not running from a group website. Webtron's software eliminates the need to interact with third-party and group websites thus improving your brand equity, bidder loyalty and profitability. Our software is designed for independent collectables auctioneers selling art and antiques in Stirling. Our online action platform is enriched with a plethora of features that will enhance the auction experience for your bidders. Online auctions add both a positive atmosphere and additional entertainment to an auction, by combining the element of technology with a traditional auction, whilst reducing geographical barriers for your bidders. 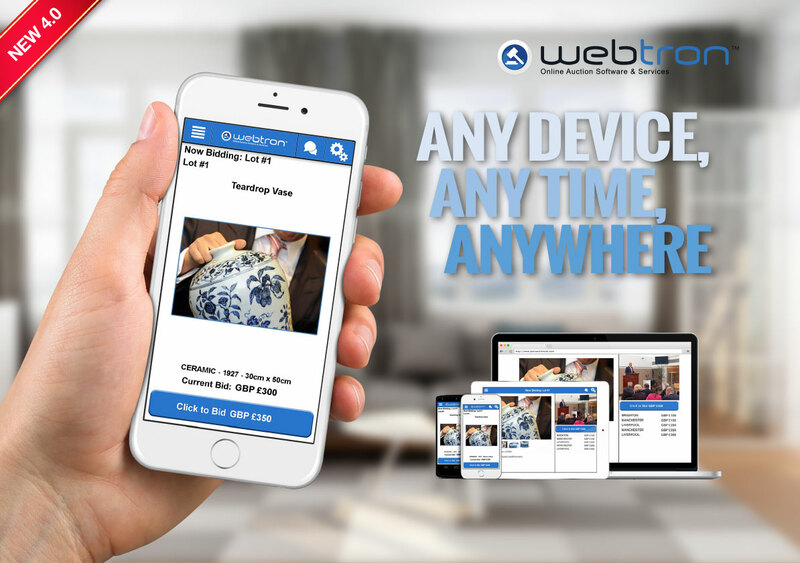 Webtron's Online Auction software allows collectables auctioneers to conduct live or timed sales from Stirling, and have them streamed over the internet to online bidders in the UK and around the world. Webtron provides a professional, branded hub to your online auction needs. Our internationally recognised software is designed to drive bidder loyalty, and to promote business growth for you. All Webtron Online Auction events are run off your own website; which means increased bidder engagement, a breakdown of geographical barriers, and long-term bidder loyalty for your firm. Who knows what somebody around the world might be prepared to pay for your collectables? Works seamlessly across all browsers, computers, tablets and smartphones. ￼, not a group site. Webtron's Online Auction software has been proven to provide your collectables company with endless possibilities for upwards growth beyond Stirling. Equipped with all the features we know that your bidders will adore, we invite you to disrupt the status quo. Who knows what somebody around the world might be prepared to pay for your collectables? For a powerful online auction solution that is proven to drive bidder loyalty and business growth in Stirling and beyond, contact Webtron on 0844 579 117 now.